In December, radio tracking collars and special GPS tracking collars provided important information on island fox locations and activity during the Catalina Grand Prix motorcycle event. 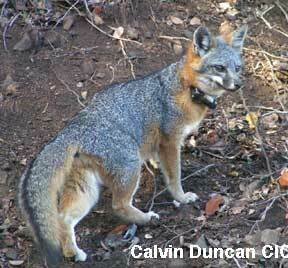 Catalina Island Conservancy biologists were able to determine the location of island foxes near the race event, track fox activity during the event and determine that no foxes were directly injured by motorcyclists. At the end of January, the island foxes with GPS collars will be captured again so that detailed information can be downloaded from their GPS collars. These high-tech collars record location data every 75 minutes. 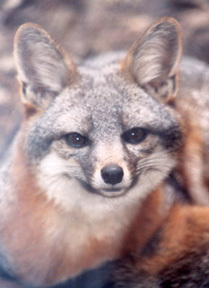 By putting these special collars on a group of island foxes before the motorcycle race, movement behavior was documented prior to the race, during the race event and for several weeks following the event. When the full data is collected and analyzed the biologists will be able to determine if the race changed the animals’ behavior and how long it took for the foxes to return to their normal movement patterns. This is a great example of how technology can help us make better choices in our interactions with wildlife, especially endangered species like island foxes.